My feet were aching because I had sprained my right ankle (my whole foot hurt actually) and my whole foot was swollen but also because I was longing to go somewhere. I had been home bound for a couple weeks and I was getting bored. The Universe always makes a way and so I got an invite to a trip I could not refuse. Sarah and me on a bus to our rendezvous with Project Kulay volunteers. 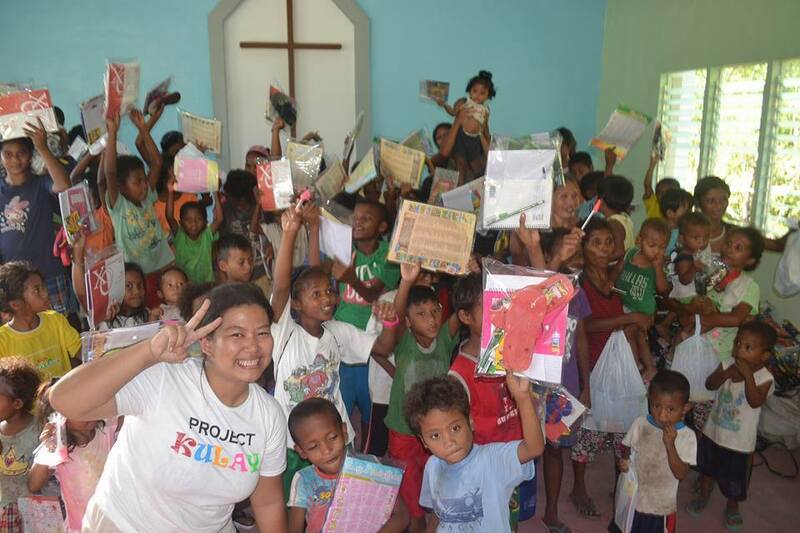 My friend Sarah invited me to tag along to a community service mission by Project Kulay. The event was called Project Kulayful Christmas where volunteers, together with help from locals, will donate relief goods, slippers, school supplies and toys as well as seeds to the residents of Sitio Bulacan in Capas Tarlac. I spent a few days before the trip resting my foot as much as I could and massaging it so I could get it ready to do some trekking to go to the mountain village. Luckily, my foot was cooperating and the swelling had gone down so much that I could now fit my foot into my slippers. A couple of children who willingly posed with Ms. Mae. Sarah's boss, Ms. Mae was invited to the event to make a presentation to children about a health topic and me and my friend were tasked to help with the presentation. We spent the night at Ms. Mae's place so we could travel early to meet up with the Project Kulay volunteers. 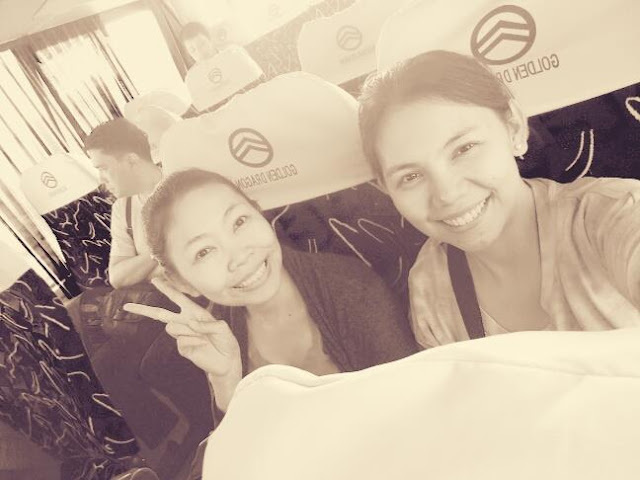 Unfortunately, our initial meet-up was derailed so we decided to take a bus and meet up at Capas Junction, Tarlac instead. From there, we rode on a jeepney with the volunteers where we meet up with some of the locals. 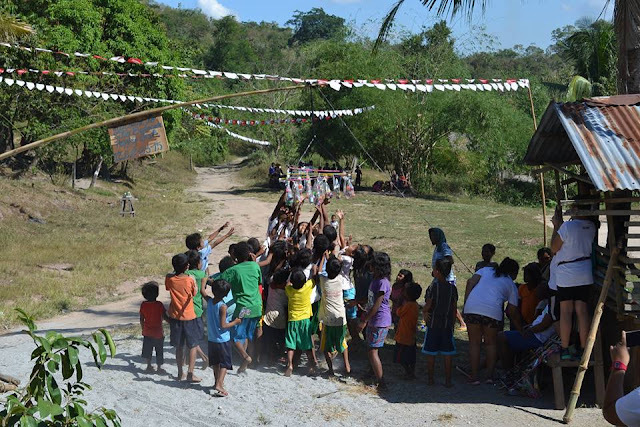 The goods were unloaded and transferred to a wooden cart with wheels to be hauled by our carabao buddies. We all thought it was going to be a short trek but it turned out to be a long one of about 4 kilometers. This was nostalgic of my childhood in the province. We didn't have mountains like this but we had lots of greens. 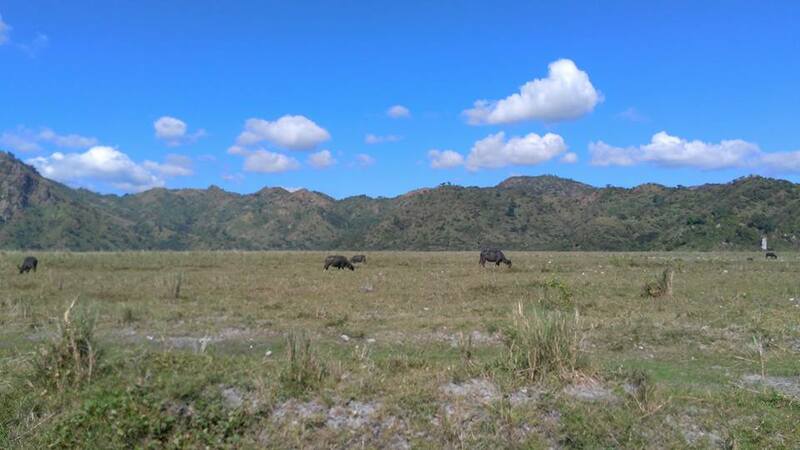 Carabaos in the meadow! This scene is such a joy to behold. The scenery was magnificent when we started out but since it was already mid-morning (8am), walking on the sands of lahar felt like walking on the desert. 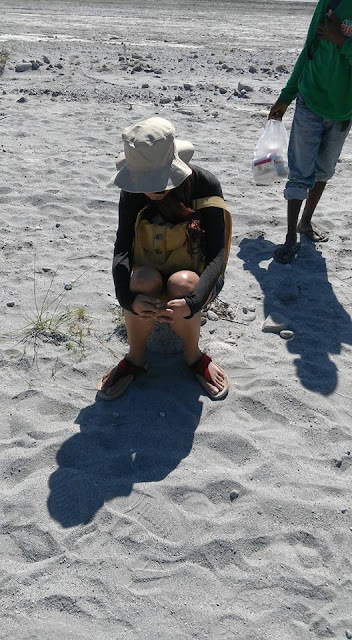 There were some shallow streams to wade through and most of the volunteers had worn sneakers so some took these off and walked barefoot or put them back on as the sand was hot, while some had brought along slippers. I was on slippers so my footwear was no problem. Sarah was in boots so she had some issues but the wet shoes dried out easily in the hot sun. 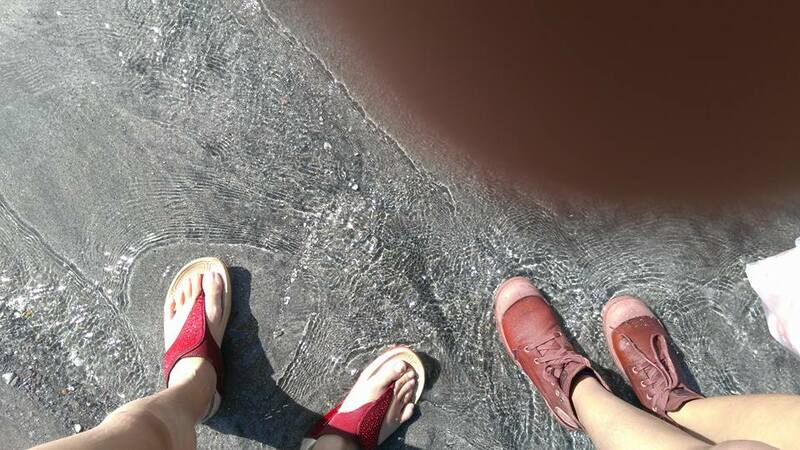 Mine and Sarah's footwear and yes, that's my thumb in the corner (sorry). As I had just recovered from my sprain (or so I thought), I was the slowest walker so we both ended up the last persons on the trail. Fortunately, we had 2 guides who stayed with us. As it was hot and some of the volunteers had health conditions, they opted to ride on the carts as well. I was told to do the same but I refused because I felt really sorry for the carabaos who carried all the supplies and had to carry several humans as well. 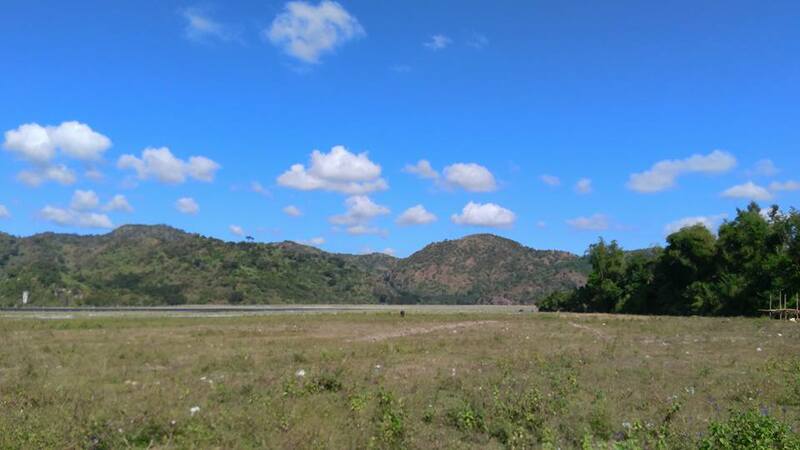 About 3/4 of the way to our destination, I was feeling dizzy from the heat and I guess due to my sedentary lifestyle of the last couple of weeks, I was overwhelmed by the sudden exercise. I sat down on a rock so I could rest for a bit. The rock was hot but I was weak and tried to endure it. I got up and tried walking with a bamboo stick for support but it wasn't much help so I just opted to limp as I walked. To avoid getting dizzy any further, I sipped some of the soda we carried with us. (Alas! We had forgotten to bring water.) It wasn't much help either but it did give me an energy boost. Me, sitting on a rock, trying not to faint. 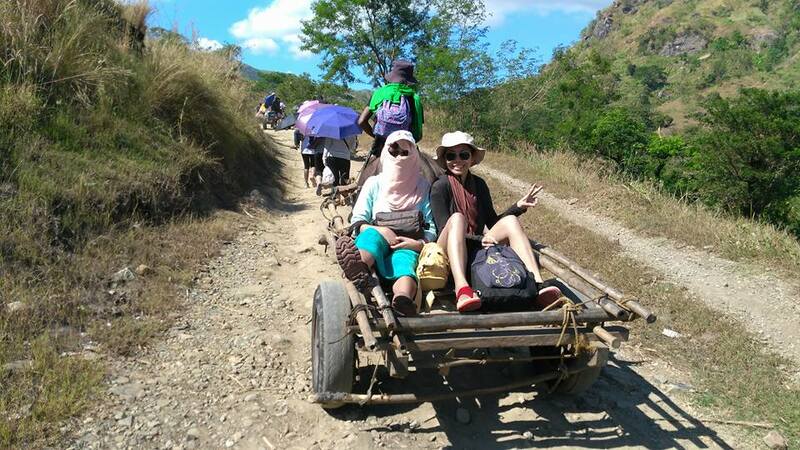 Our bumpy carabao ride. 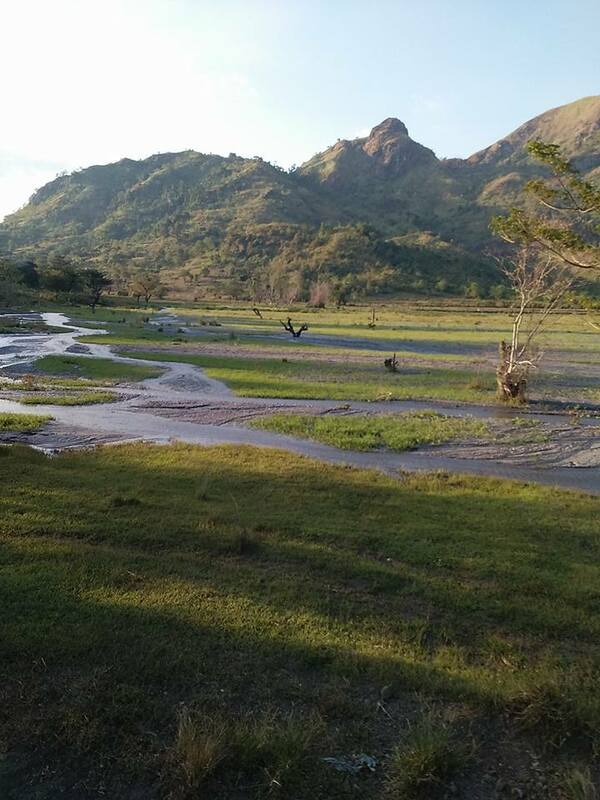 I am grateful to the carabao who carried us all the way to our destination. We learned on the way that the carabao who hauled our cart was pregnant so I felt rather guilty for being such a burden and just hoped that she and her baby remain healthy. I was also very thankful that this animal buddy was there to aid me in my time of need. 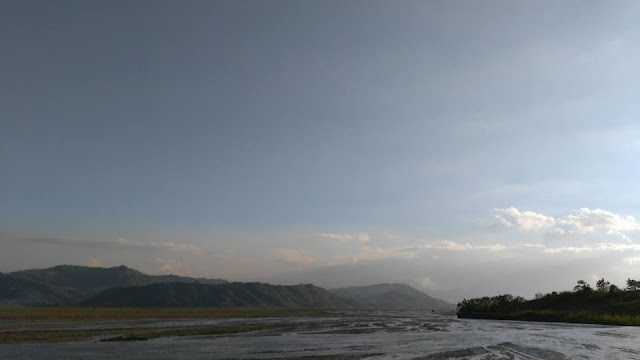 A panorama shot of the route to our destination. When we got to the village, rumor had spread that someone had fainted along the way. I knew it was about me of course, so I verified that I had only felt faint but had not gone all the way to unconsciousness. Ms. Mae who arrived ahead of us was relieved when I told her what happened and I had to correct the info several times that day when several people talked about it. The village had a fiesta atmosphere to welcome us. I had been to "depressed" areas before but the village that greeted us upon our arrival didn't have that kind of depressing atmosphere. Instead, it looked like we arrived in the middle of fiesta preparations and the residents were very welcoming too. After some rest and lunch, we proceeded to gather the children for an educational presentation by Ms. Mae. The topic was how the children can avoid getting worms and there were tips for parents on what to do to get rid of them. We had a game for the kids and the winners got a prize. 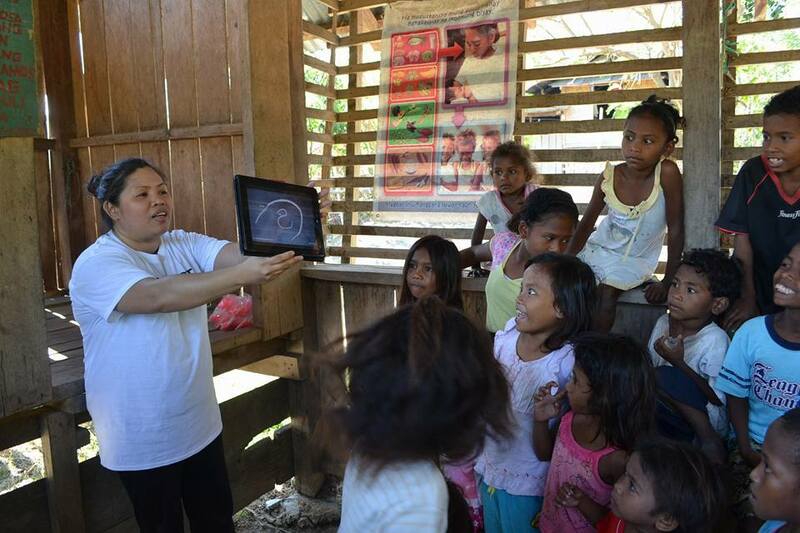 Ms. Mae showing a picture of the worms to the kids. 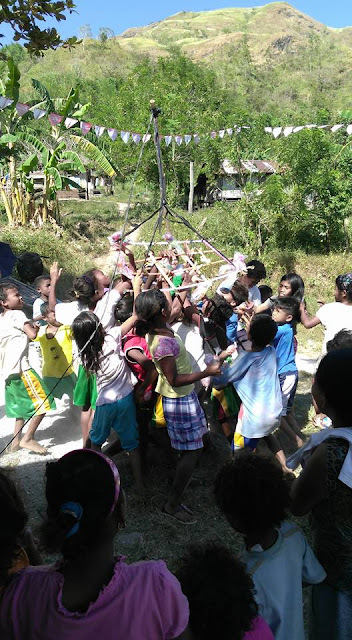 Next up, the volunteers held a few games for the kids to enjoy including a favorite fiesta game. The kids grabbing some prizes. Another game for the kids. Source: Project Kulay Facebook page. 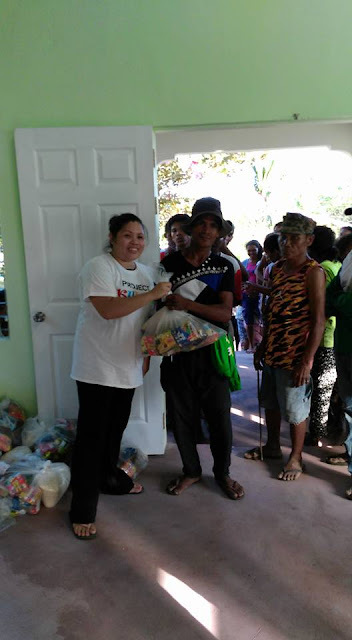 In the meantime, volunteers stationed inside the village chapel had arranged the goods for giving away slippers and school supplies as well as other relief goods. Some of the locals from the neighboring town also came to help cook food for the afternoon party. While preparations for the afternoon party was ongoing, we took the time to talk to the residents about their life in the village. Most of them make a living out of harvesting banana hearts and making charcoal. About 20 banana hearts in 1 sack costs Php70 per sack. Charcoal which takes one day to gather the materials but a whole week to make also costs the same per sack. They also have to bring down their goods from the mountain and they either walk or rent a carabao cart to sell it in town. Sometimes they are asked to lower the price even more which is really unfair considering all their hard work, in my opinion. They give 10% of the sale to the carabao owner. The village has a grandmother who is their healer and performs medical procedures such as birthing. They also have a village captain who serves as the leader and keeper of the peace. He led all the activities and kept everyone on their good behavior while the goods were being handed out. It was apparent how the villagers respected their elders. They hastily followed their captain's instructions when he ordered the children to gather for the presentation and games as well as when he ordered the adults to line up in front of the chapel. I observed though that the village captain never interfered with the volunteers' work or tried to handle the whole event himself. He kept himself out of the limelight most of the time and only made his presence and authority felt when necessary. It is a trait which I wish our loud and arrogant politicians can learn from. After the residents and volunteers had enjoyed the food, the chapel became the center of activities. Children were first provided slippers and school supplies. Then the adults got slippers and food supplies as well. As a memento, volunteers got their pictures taken handing out supplies to the residents. 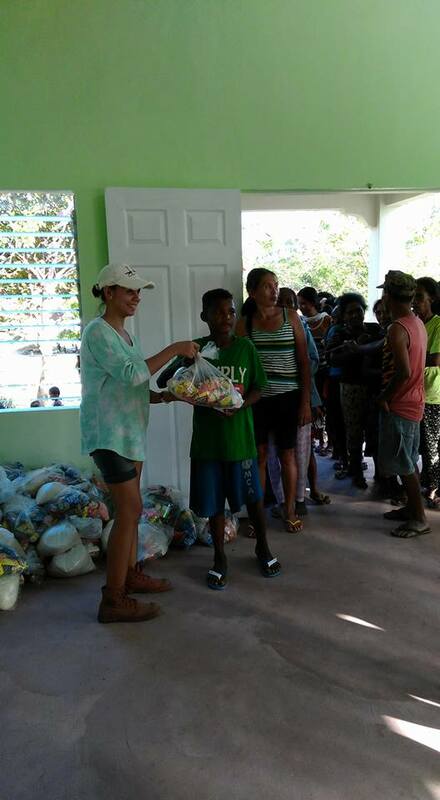 Ms. Mae handing out relief goods. I was definitely happy to be part of this activity. 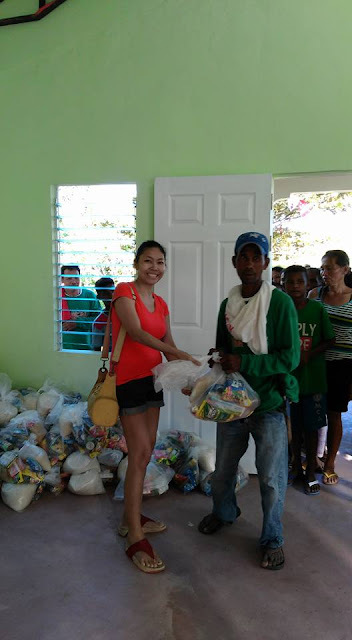 Sarah took her turn to hand out relief goods as well. 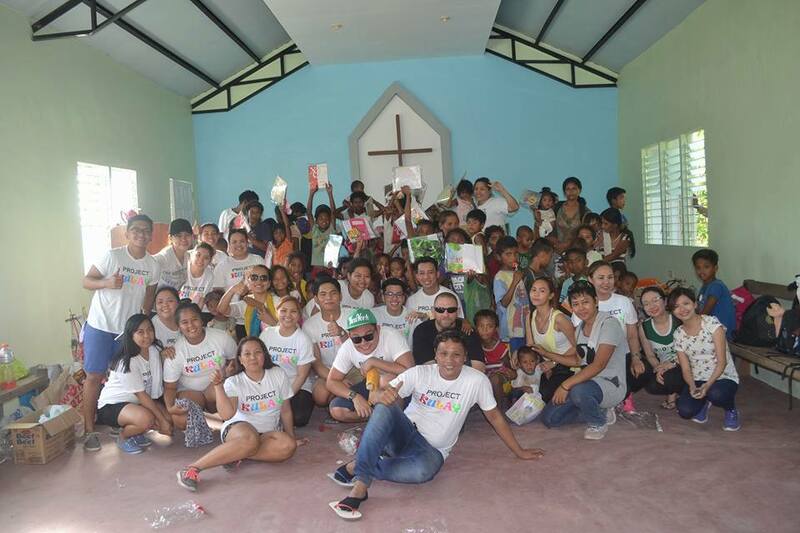 The volunteers pose with the children. Project Kulay volunteers and the children pose for a groupie. Source: Project Kulay Facebook page. After this, there were some more goods left and these were used as prizes for another game that the children got to enjoy. Us and some volunteers taking a rest after the activities. Source: Project Kulay Facebook page. When we were ready to go back, we were asked if we wanted the option to ride on a 4x4 jeep for an extra fee. The 3 of us really didn't want to burden the carabaos with our weight so we opted to take the jeep instead. It also gave us more time to rest after since the jeep was faster and we reflected on the days events as we waited for our companions who opted to ride on the carabao carts. A shot of the route we took earlier in the morning. An afternoon shot of the initial part of our route with greens aplenty. While waiting for the rest of the volunteers to arrive, we talked with a new-found friend on so many topics. We even continued talking on our jeepney ride home and found a new friend there as well. In one of our conversations, Ms. Mae asked us if we felt that the residents of the village felt that they needed our help. This made us realize that perhaps we were wrong in our perception that these people direly needed our help because even as we talked to the residents, they didn't talk as though they were complaining. They were simply telling us the going's on of their daily life in the village and they told us their stories willingly and were factual about it without any complaints. It was us who felt that their life was hard but their expressions and attitude about it were not. 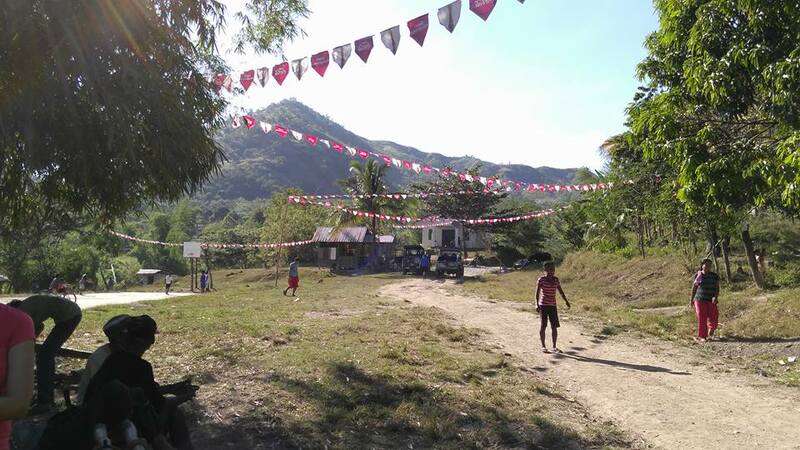 We felt, and they expressed, that they were grateful for the help that they received and they celebrated us, thus the fiesta atmosphere of the whole event. But they did not welcome us with an attitude or atmosphere that said they were desperate for our help. Compared to my other visits to "depressed" communities where the residents aired out their hardships and we mostly heard complaints, this community didn't give us a depressed feeling. In fact, we felt really happy after interacting with the residents. It wasn't the feeling that we were able to give help that made us happy. The feeling was imparted to us by the residents themselves who told us their stories in the light manner that only people who appreciate the simple things in life can. Perhaps, in this case, ignorance is bliss. Because they are simple folk who don't live the complex lives we live as city dwellers, they don't have the complicated concerns that we do and they can live their lives simply and have the time to appreciate each day. I felt that as long as they are able to provide for their family and village, they are content. This made us wonder whether it was they who needed our help or if they helped us more. They have surely taught us that there is a lightness to living a more simple life where you are only concerned with simple and basic needs. Maybe the Universe is teaching us not to make life so complicated. The residents also taught us that blessings must be celebrated just as they celebrated our arrival knowing the kind of help that we would bring. They appreciated the simple things and didn't shy away from participating in the moment as it arrived. They were very accommodating and their humility was also humbling. They knew how to receive gratefully. Some of them walked down the mountain again with their goods after the activities and waved us goodbye as our jeep sped by. It seems that I am the one needing them now, their camaraderie and lightness of heart is a feeling that I want to experience again. That's why I really want to go back and spend time with these folks once more. 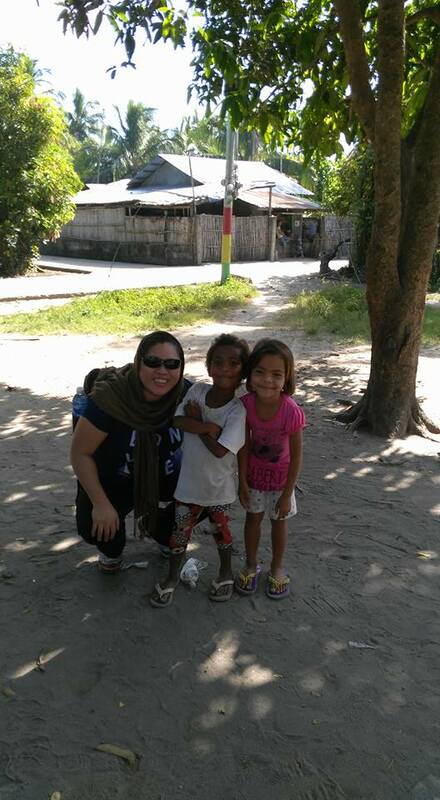 I am grateful to Project Kulay and Ms. Mae and Sarah for allowing me to enjoy this experience. If you want to experience this kind of adventure, then head on over to Project Kulay's Facebook page to keep posted on their projects.